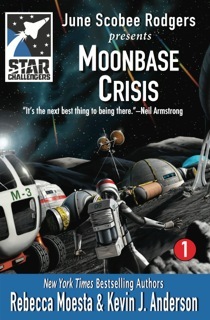 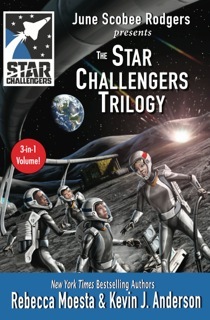 After an exhilarating space simulation field trip at the local Challenger Center, four talented students are hand picked by the mysterious Commander Zota for a special adventure—to travel to the future and a real moonbase in trouble, where these new “Star Challengers” will learn skills to save the human race! 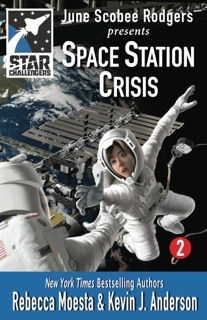 It’s just supposed to be an educational field trip to the Challenger Learning Center, but JJ Wren and her friends find themselves transported into the future, to a time when the human race is besieged by deadly alien invaders. 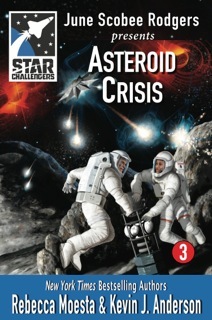 The evil Kylarn have shifted the orbits of three asteroids, sending them on a collision course with Earth!